I admitted in my last post that I'm not setting any official goals (yet?) for myself, but that laid back approach won't work for our Etsy shop. Courtney & I spent over an hour on the phone working out our plan for 2018 (I'm still sad she lives in West Virginia now and we aren't having "business meetings" in my living room while Aiden pulls out every toy he owns! ), so here I am to share some of our goals with you. 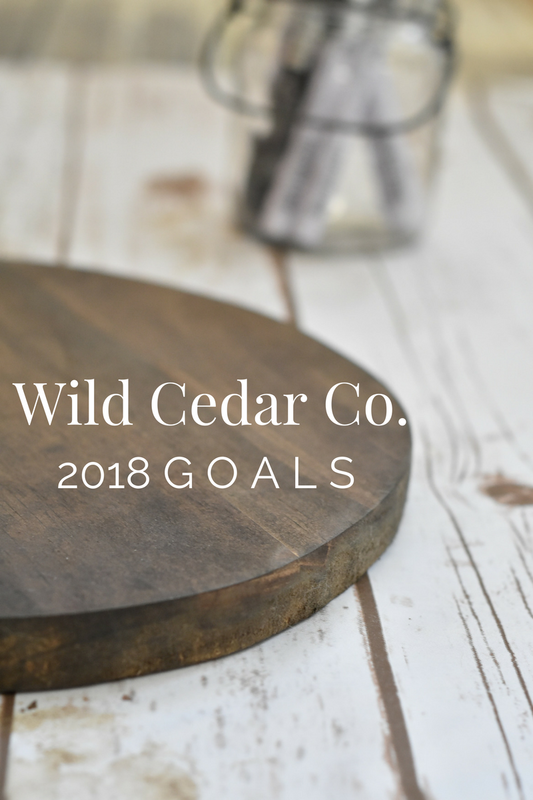 Not sure what Wild Cedar Co. is about? Check out the meaning behind the shop name and how we got started (and try not to laugh at our old branding and designs!). Try offering hand-lettered paper products. This could be wedding invitation envelopes, watercolor nursery signs, etc. Focus in on mugs, paper, and wood. We will have other items still listed (like these tea towels!) but we want to expand those types of listings. What are you goals for 2018? Follow us on Instagram for all the behind the scenes + updates!